Obituary for Alice Sheila (Dworkin) Meisel | Pleasant Manor Funeral Home, Inc.
Alice Sheila Meisel, 76, of Hartsdale, New York passed away on Thursday, December 6 at Westchester Medical Center in Valhalla, New York. Alice was born on December 24, 1941 in Hunts Point, New York. She grew up in Yonkers and Somers, New York. 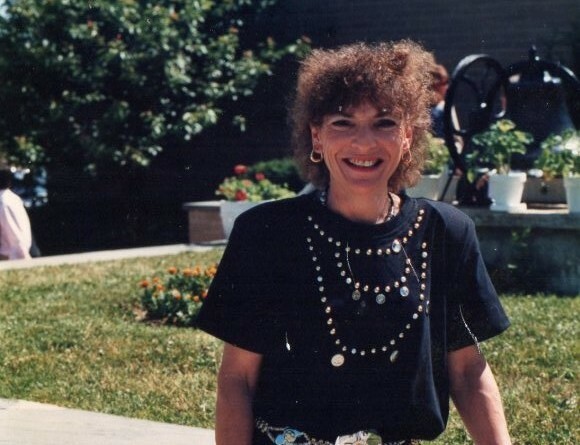 She had a bachelor’s and master’s Degree in Education and was a teacher in the New York City Public School system until moving to Hartsdale, NY and taught at Ardsley Middle School beginning in 1973. When she retired, she continued working with children at the Shames JCC in Tarrytown, NY where she ran Kidspace until her death. Alice was beloved as both a teacher, a friend a colleague. She was loved by all people and animals. Alice was the kind of person who would drop whatever she was doing to help someone in need. If she found out that you liked snowmen, she would make it her mission in life to make sure that you had anything made that had a snowman on it. She was a surrogate grandmother to many children from Kidspace, as well as surrogate parent to many kids and teenagers through the years. She is survived by her beloved husband, Jay Meisel, her daughter Meredith (Meisel) Kamm, her son, Matthew Meisel as well as her brother Joseph Dworkin and his wife, Rebecca. She also leaves behind her grandchildren, Samuel Bukovsky, Emma Bukovsky, Michael Palmer, Alexis Palmer and Rebecca Palmer as well as her niece, nephews and many cousins. Family and friends are invited to Pleasant Manor Funeral Home, Inc. 575 Columbus Avenue Thornwood, New York 10594 on Tuesday, December 11, 2018 from 11:00 - 1:00 PM to celebrate Alice's life. After the remembrance service at the funeral home we will take leave for Sharon Gardens Cemetery for burial.